Expectations were incredibly high for Nintendo going into E3; heck, we even predicted that they would walk away the clear winners in the foreseeable future of console gaming. 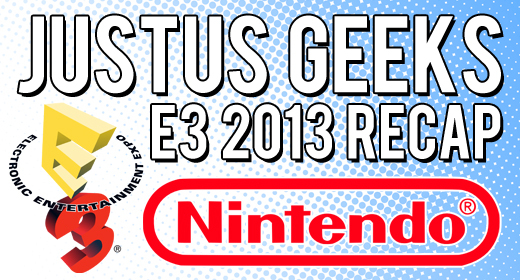 Now, we are pretty much in love with Nintendo here at JustUs Geeks, but even I found their presentation a little…well, meh. Don’t get me wrong; we saw some much needed things from Nintendo as far as games go. The real question is, though, did we see enough? As expected, Nintendo announced a new iteration of one of it’s best selling series, Mario Kart. In Mario Kart 8, there seems to be a noticeable step-up graphically, with some new game and stage options that are sure to please even the average gamer. Mario Kart has always been a solid racing game, and yes, we acknowledge Mario Kart 7 (Wii version) had a bit of a blue shell problem. This will be a lock for all Nintendo fans. Coming out in December is Super Mario 3D WiiU, which gives you the option to play as four playable characters: Mario, Luigi, Peach, and Toad. This looks like another version of the WiiU Mario game we just got at console launch (and will get downloadable content for in the guise of added boards and will have the “Year of Luigi” spin). The main attraction for this game is the new Cat Suit power-up; and no, it isn’t Grumpy Cat Suit Mario. Wouldn’t that be epic though? Nintendo also debuted a new title from MonolithSoft, the makers of Xenoblade Chronicles, simply titled X. This actually looks like a promising game. Nintendo also gave us more insight into The Wonderful 101, a game that we still are holding our breath about. Oh yeah, new Pokemon for 3DS, if that’s your thing. 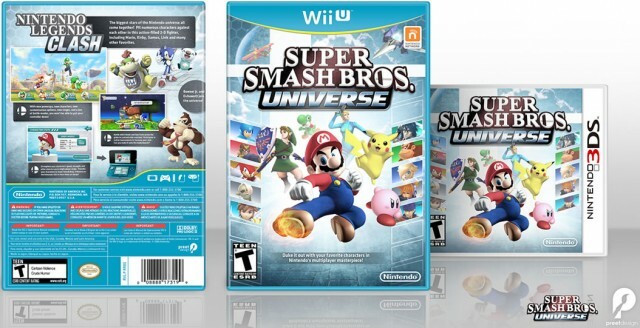 As had been expected, Nintendo let us in on the latest installment into the Smash Bros. franchise: Super Smash Bros. Universe. Obviously, this game has been desired since news first broke of the WiiU, and Nintendo doesn’t seem to disappoint here. With both WiiU and 3DS versions, Nintendo seems to be appealing to both style of gamers, although limiting this release to WiiU only might have increased overall sales for the console. To the obvious excitement from the live audience at the E3 announcement, and the internet, the addition of The Blue Bomber is HUGE. 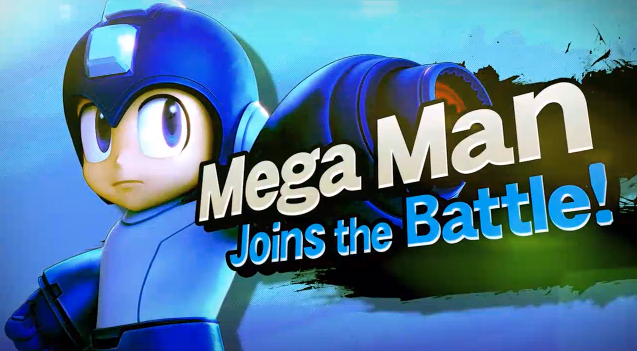 This points to the fact that Nintendo, at least on some level, realises that we want more Mega Man. Get it together Nintendo and Capcom! The other exciting news for diehards was the announcement of the HD remastering of The Legend of Zelda: The Wind Waker. As you prepare to spend lots of in-game time in a boat, also remember that no NEW Zelda properties have been mentioned. What did we miss from Nintendo’s E3 address? What about an update to Super Mario Galaxy, arguably it was visually the best game for the Wii? This series is just dying to be brought to WiiU with it’s updated graphic capabilities. If there was a Mario game to be the flagship for the WiiU, it should be the Galaxy series. Honestly, it just wasn’t enough with Nintendo. It wasn’t too little to lose, but certainly not enough to overtake Sony. We needed more games, more release dates, and more confirmation that studios want to develop for the WiiU. Don’t forget that with SSB:U they’re also added my soon to be favorite character… THE WII FIT TRAINER! Seriously, who DOESN’T want to embarrass their friends by Smashing them with a pale chick in Yoga pants?!? Also, don’t forget the 3DS “soon-to-be-classic”, The Legend of Zelda: A Link Between Worlds. Set in the universe of arguably the most beloved Zelda title ever, it is my most anticipated release Nintendo has revealed. As much as I love my OoT 3DS Edition, only Majora’s Mask 3DS could make me any happier! Also, if they release a Special Edition 3DS XL for LoZ:LBW, I’ll finally trade in my OoT Special 3DS. Until then, I’ll stick with the small screen.